To be a global level advisor to offer comprehensive business advisory services. TBA has experience of managing client needs from varied industries. An illustrative list of firms. ATSCO is one of the most reliable and reputed Labour Law consultancy firm engaged in the business of providing a wide range of services such as Employees Provident Fund, Employees State Insurance, Professional Tax, Mumbai Labour Welfare Fund, Bombay Shops & Establishment, Contract Labour Act Consultation to various corporate clients. We have also been maintaining cordial professional relationship with the State & Central Govt. Labour Law enforcement agencies for smooth functioning. During the last 15 years of operations and serving various organizations, we have built not only a meaningful, but also a beneficial relationship with the clients. The growth in the number of clients itself is indicative of our professional competence, growing reputation, confidence in our services and about our highly satisfactory service. We have a team of highly competent, dedicated professionals and qualified associates having rich and varied experience in these fields. Our office is fully equipped with a sophisticated Software Applications to deliver quality and prompt results. 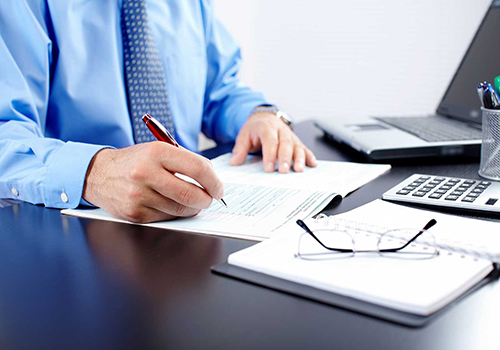 We ensure that the customer gets the worth for the money he is spending to avail our consultancy services. Our efforts are to provide better services to our clients enabling them to achieve scale by cost minimization. Application & processing an application for obtaining a Registration under the Act to Regional PF commissioner. Computation of the challan for the payments from monthly deduction of P. Tax from the Salaries of employees. We are Contract Labour Consultants who provide following services.